EGJ junction boxes are designed for flush installation in the concrete pump island of gasoline service stations. EGJ series junction boxes are explosionproof and dust-ignitionproof. 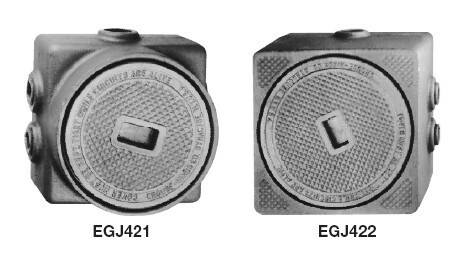 Download the EGJ Junction Boxes spec sheet below or call 714.835.6211 for more information.